There are several factors that make crating and shipping semiconductor equipment especially challenging. First, the industry's products are constantly changing at exponential speed. Given the nature of the products, typically being shipped from a clean room environment, considerable expertise is required in order to maintain a product's integrity throughout its journey. Finally, because new products are in constant development, design and engineering divisions need to be swift, adaptable and able to collaborate with their packaging company. Find a company with experience and expertise. Select a crating and shipping company that has experience with semiconductor equipment or other high-tech equipment like robotics, complex medical devices or optics where unique packaging solutions are required. Select a company that "speaks your language." 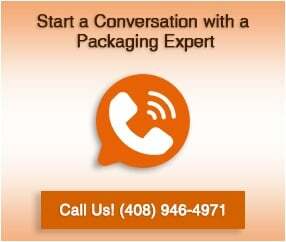 Be open to having your design and engineering team work closely with the packaging company's team. They have knowledge that can work to your benefit by potentially lowering your shipping costs and ensuring that your equipment arrives safely to its destination. A solid packaging company should be able to evaluate your designs, point out flaws, suggest alternatives and substitute materials when appropriate. Don't settle for generic solutions. Semiconductor equipment ranges in size, weight and sensitivity. A chip bonder can weigh thousands of pounds while wafers and chips register in ounces. Opting for generic shipping solutions can often prove very costly. In selecting a packaging company for semiconductor equipment, your goal is to achieve customized solutions that meet your exact requirements. See that the packager is prepared to go global. Make certain that the shipper has knowledge of labeling and documentation requirements specific to your destinations. Are ISO certifications required? Be assured that your equipment won't be compromised as a result of a bureaucratic snafu. Select a company that understands your shipping environments. You need a crating and shipping company that understands the complexities of packaging in a clean room environment. Choose a company that is willing to allow its employees to be trained to your standards and certified if necessary. Find a packaging company for shipping semiconductor equipment that puts your product's safety first. Excess moisture, temperature and vibration can take valuable equipment and reduce it to zero. Be sure to inquire about the methods employed to reduce shipping hazards and be certain they meet your standards. Choose a company that can stand and deliver. If most equipment begins its journey in a clean room, where will it be delivered? Can the crating and shipping company engineer and design packaging that is easy to load and unload? Look for a company that can offer tool-less solutions, provide custom shipping brackets or meet any of your other specific needs. Follow these guidelines in selecting a packaging company for shipping semiconductor equipment to find the best partnership for your organization.